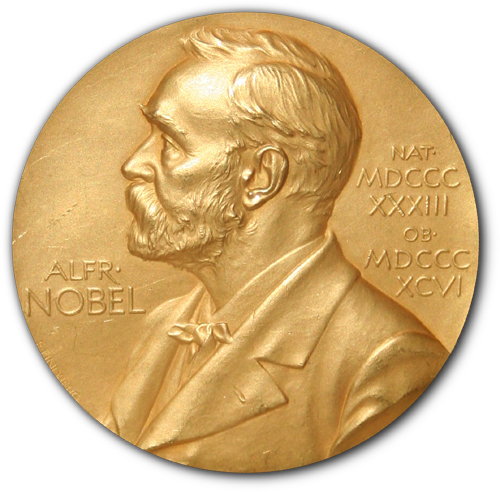 The 2018 Nobel Prizes represent a pinnacle of global recognition for path-breaking research, but the awards also surface some less than noble aspects of modern science and medicine. This year’s prizes cast a spotlight on breakthrough findings on how to take off the immune system’s natural brakes to allow it to attack cancer, and on speeding evolutionary processes so enzymes and bacteria-fighting viruses can be harnessed to create compounds helpful to mankind. Advances in these areas promise to improve and lengthen lives around the planet. And it was terrific at a time of so much gender-based discrimination and abuses of women in science, technology, engineering, mathematics, and medicine, to see prestigious prizes, finally, awarded to two women in chemistry (the fifth such Laureate) and physics (the third). Still, it’s worth noting what Big Pharma has done with the pioneering research lauded in the medicine and chemistry awards, specifically with cancer immunotherapy and anti-inflammatory drugs. Getting a cancer immunotherapy treatment costs more than a house in many cities in the US, more than putting a few kids through private college. The average cost of cancer drugs has increased from $50,000 per patient in the mid-1990s to $250,000 today. That’s four times the median US household annual income. Immunotherapies in particular often cost more than $100,000 per patient. Doctors now use immunotherapies in combination, which means those costs can quickly double or triple. For some of the newest immunotherapies, the price tag is even steeper: When you include the value of the medical support necessary to deliver these treatments, a price tag of $850,000 per patient is not unheard of. And, even as cancer drug costs explode, especially for immunotherapies, it’s less clear that the incremental improvements in these meds improve patients’ lives or help them to live longer. But it is worth noting the Big Pharma result of the pioneering work by she and her fellow chemistry Laureates, George P. Smith and Sir Gregory P. Winter. Smith and Winter studied speeded up evolution and bacteriophages, those bacteria-infecting viruses. Their work ultimately resulted in the drug adalimumab, sold in the branded form Humira. It is used to treat auto-immune diseases such as rheumatoid arthritis, ankylosing spondylitis, chronic plaque psoriasis and Crohn disease. Humira is the best-selling prescription drug in the world. You may have seen the commercials. Because of Humira, a woman with rheumatoid arthritis can wash her puppy in the bathtub, another with colitis can stroll happily through a fair packed with food vendors, while a third suffering from psoriasis can go to the gym without hiding her neck. But they probably wouldn’t all look so relieved if they saw the bill. The price of Humira, an anti-inflammatory drug dispensed in an injectable pen, has risen from about $19,000 a year in 2012, to more than $38,000 today, per patient, after rebates, according to SSR Health, a research firm. That’s an increase of 100 percent. In my practice, I see the harms that patients suffer while seeking medical treatment, and their struggles to access and afford safe, efficient, and excellent medical care, especially when prescription medication prices keep soaring and too many drugs have become dangerous. It’s great that medical science pushes boundaries daily, improving and extending lives of the sick and injured. Hope can be its own miracle therapy. But it approaches cruelty by Big Pharma and its allies to hype drugs and therapies with prices that patients, even with excellent health insurance and other financial resources of their own, still can’t afford. Will they bankrupt themselves and their loved ones for costly drugs? This year’s Laureates have said they hope to donate some of their prize to worthy causes. Good for them. It’s worth remembering, too, that Fredrick Banting, a 1923 Medicine and Physiology Laureate, and Charles Best and James Collip, scientific collaborators he recognized as key to his work, turned down a fortune for their discovery of insulin. Instead, they received $1 each and assigned the patent for the lifesaving therapy for diabetes to the University of Toronto, with the proviso that the medication be made as affordable and available to patients who needed it. Alas, Big Pharma since has found ways around that generous move, now making a slightly different form of the drug and restricting competition, making life-changing insulin so costly that diabetics now put their health in peril, foregoing or reducing needed doses. In the midst of the publicity blizzard of the Nobel award announcements, news organizations reported on the death of 1988 physics Laureate Leon Lederman. Though he won international acclaim and a place in science’s pantheon for his exploration of the subatomic world, notably the Higgs boson, or what he called the “God particle,” he struggled in his late years with cognitive decline. His medical bills grew so high that he sold his Nobel Prize medal for $765,000.